Have you seen the new Bella! 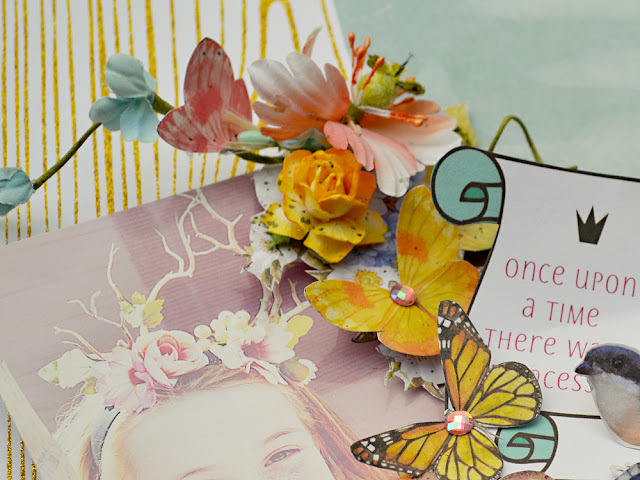 Glitzy Glitter Papers? They are gorgeous and so much fun to add to your paper crafting project! For my project, I added a length trimmed from the Woodgrain Glitzy Glitter Paper. I think that it coordinates beautifully with nature theme of my page. Trim a piece from Woodgrain paper - Along one edge follow the pattern of the Woodgrain. Trim a piece from the Distress patterned paper. Cut into two pieces - tear the edge along the longer edge of one the pieces. Also put aside the smaller torn piece that was just removed. Attach in place when happy with placement. 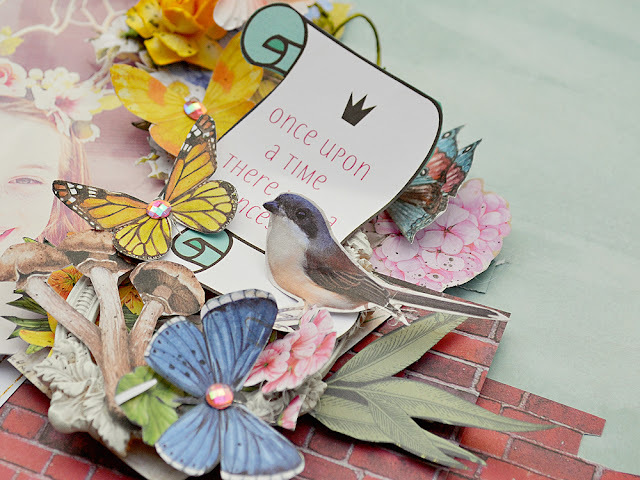 Fussy cut floral elements, leaves, butterflies and toadstools from Botanical Montage Paper and Bird from Botanical Perch. Fussy cut paper sentiments from Magic & Wonder Cut Outs. Attach resin frame on a slight angle covering the bottom right hand edge of the photo. Attach flower vine across the top right hand edge of the photo. 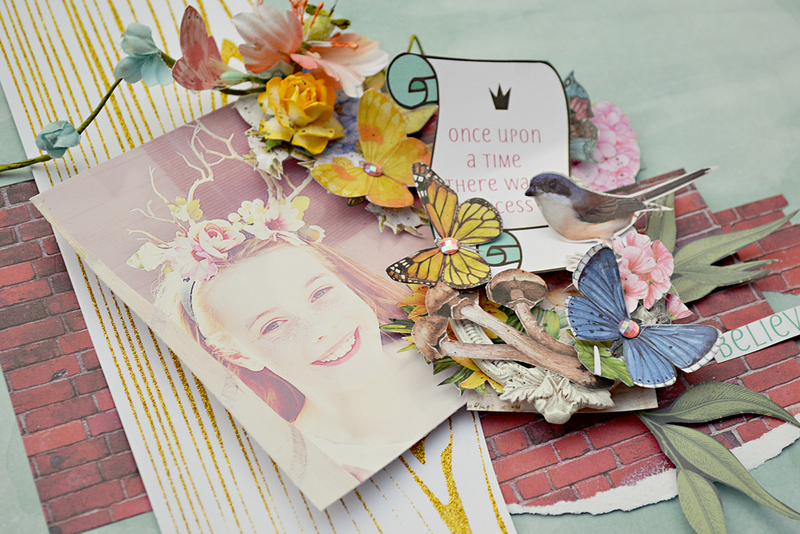 Layer fussy cut floral, butterflies, toadstools, bird, paper scroll sentiment elements and flowers along the right photo edge. Add gum leaves towards the bottom of the cascading floral cluster. Place 6mm Iridescent Pink Bling Rhinestones to the butterfly centres. 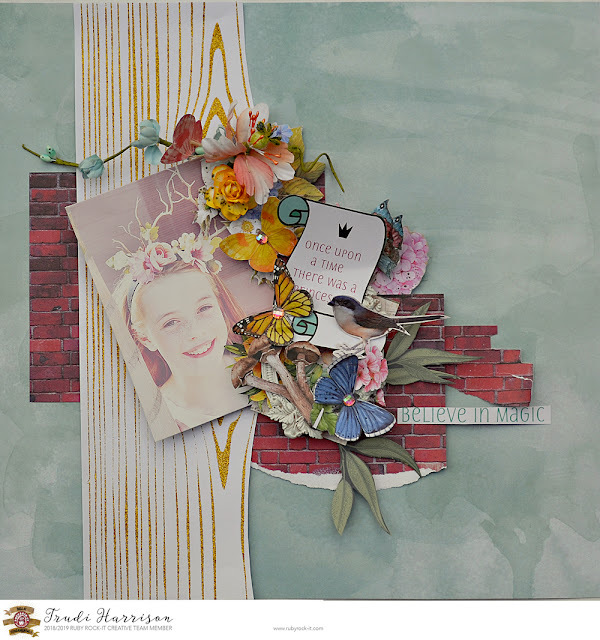 Labels: Bella Botanical, Glitzy Glitter, Layout, Red Gallery Paperz, Ruby Rock-It!